I've been a bit slack joining in with this lovely linky lately and I've missed it. The problem was over the summer holidays I just ran out of time and it seems like there hasn't been much to say about the garden. Plants have got a bit bigger, harvests have been taken in, flowers have gone over but photographically it seemed to look much the same for quite a while. However I thought it was about time I showed y'all a few pictures from our little patch - even if it does look rather rough around the edges in an autumnal sort of way. 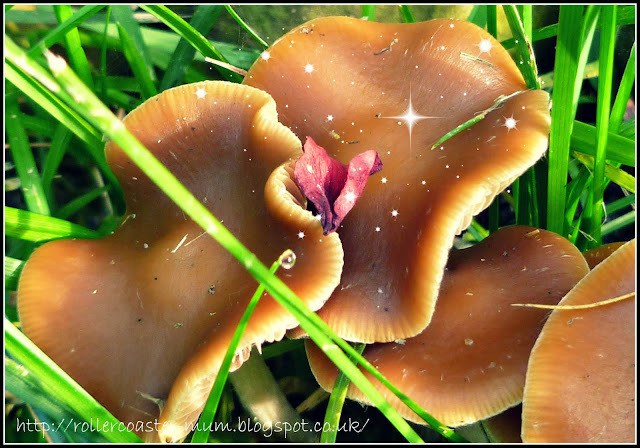 Apologies for a couple of repeat pics from previous posts for anyone who actually comes back and reads my blog more than once! 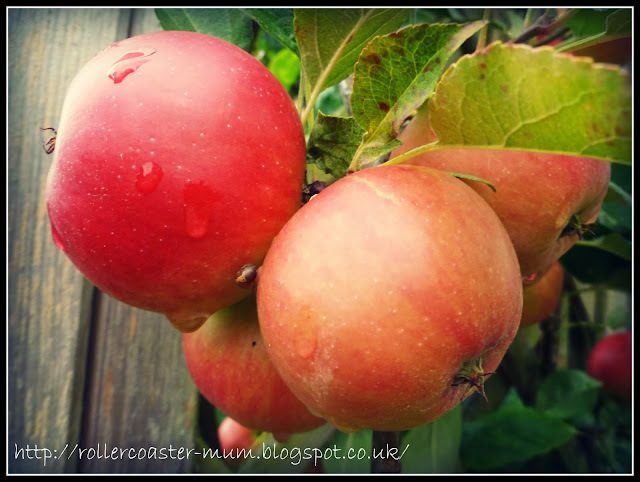 Rosy red ripe apples - we haven't had to buy apples for weeks! 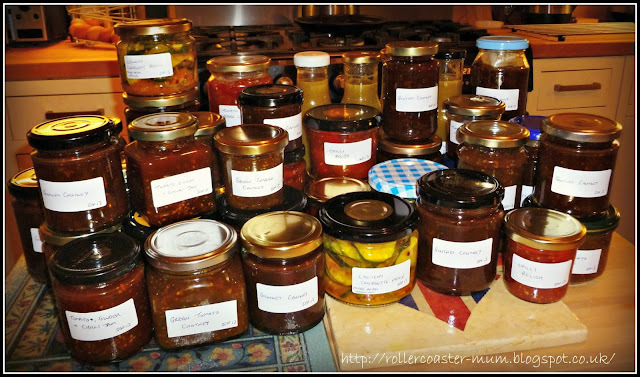 The tomatoes did their usual and got blight although we have a couple left in our not very light greenhouse and so we had to process lots of green tomatoes, some runner beans and a couple of large courgettes - a weekends work a couple of weeks ago. 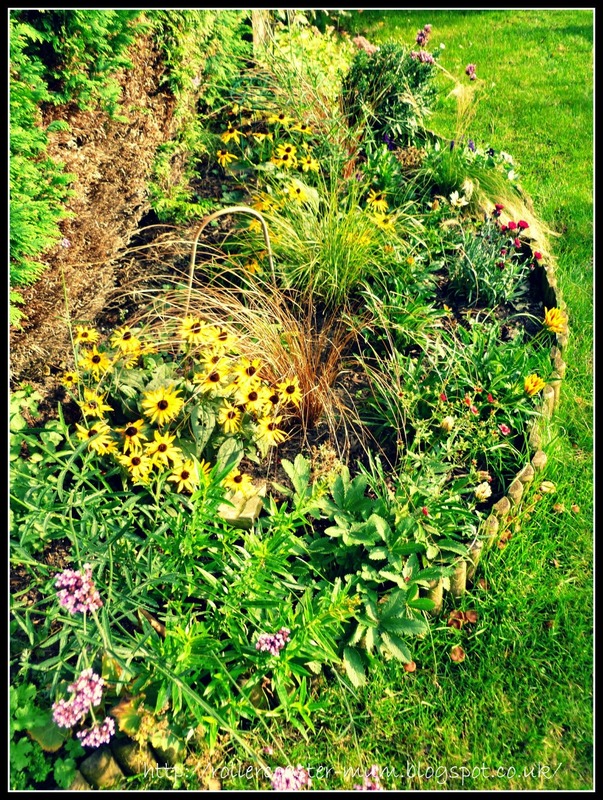 And here is the flower bed that was revamped earlier in the year. Looking a bit rough round the edges now but I have high hopes for next year as most of the plants are perennials and should come back bigger and better next year. Since I last showed this I have added 3 grass plants which I got at a local market for the bargain price of a fiver for all three. 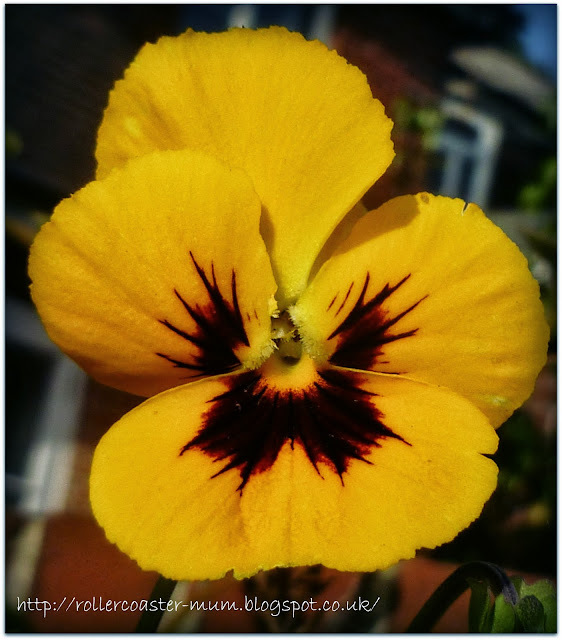 Couldn't resist this sunny yellow pansy making the most of the autumn sunshine - it almost looks like velvet. 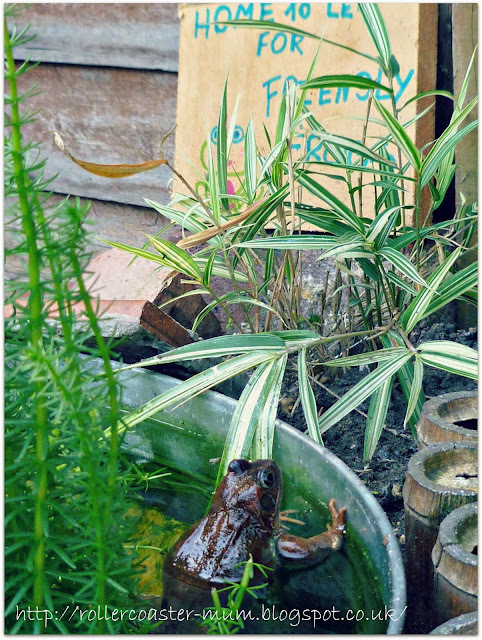 The frog in your pond is perfect - what a fabulous home for him! 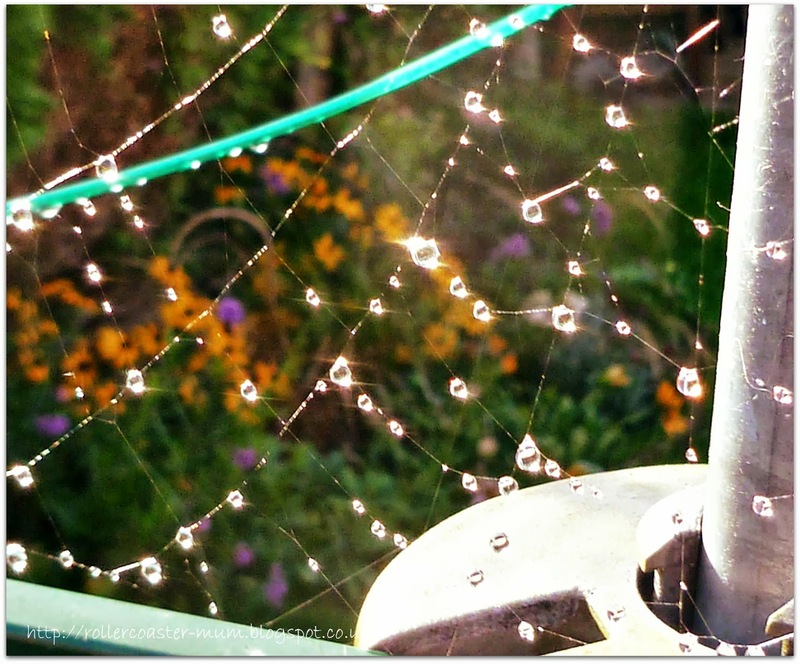 The spider web is gorgeous too with the water droplets. I love that Home to Let for Friendly Frogs - and that you have an occupant! 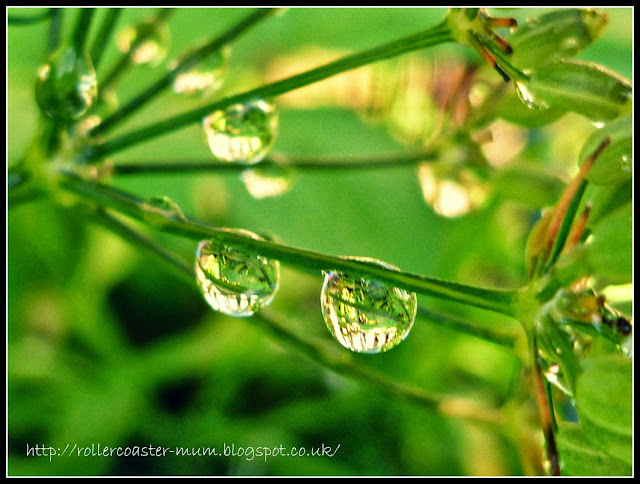 Lovely shots, the dew ones are just smashing. The flowers of Summer may ave gone but the Autumnal garden looks mighty fine too. What a mammoth task you had a in kitchen! Now for the fun bit - eating! Awww He's so cute! In the picture! I just wouldn't want him hopping about my toes! mmm those apples look scrumptious!